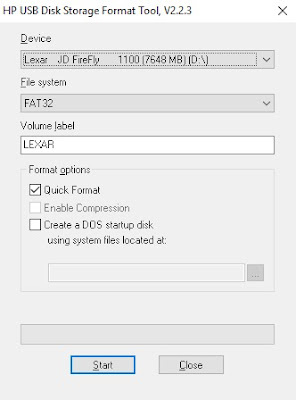 For years I've been using this simple yet powerful utility that is called HP USB Disk Storage Format Tool and miraculously restored the full capacity of numerous flash drives of various sizes and brands. The utility is so simple it does not even requires installation: once downloaded it runs on double click and does the job. It is branded by HP (assuming Hewlett-Packard?) but you cannot find it on HP web sites. 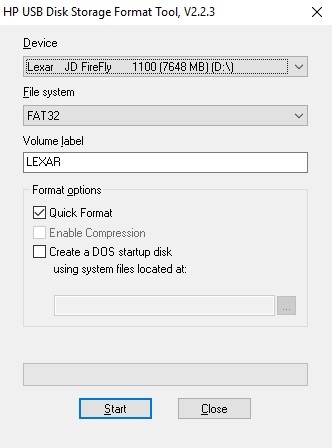 Every time I needed it and did not have it on a computer I was able to Google it and find the whatever current version is available across many file download sites but every single time I asked myself: where exactly is the origin of this utility? (just because I like to download from the origin instead of another mirror and potentially avoid a malicious impostor). Never was able to find the origin and had to download from whatever location was found. Just recently when I needed to do that again for a friend's flash drive I searched and found that it is now available as a chocolatey package. For those who does not know what Chocolatey is just go there and learn but in a nutshell it is a command line installation utility for Windows that simplifies the software installation tasks and (more importantly) keeps a versioned repository of useful software that is safe to install from.